Wine snobbery is not restricted to wealthy wine collectors or avid wine geeks. In fact, it can affect anyone, to one degree or another. It is essentially a closed mindset which often leads to a refusal to drink certain wines due to preconceptions which are often not accurate. One such preconception involves screwcap closures. When they first started showing up, people wrongly assumed that screwcaps were only for cheap wines, and avoided them. Yet that was not the case. Plenty of excellent wines used screwcaps and that has become better known but still has a way to go. I still meet people who refuse to drink wines with screwcaps because they still think they are inferior wines. Their snobbery prevents them from experiencing those delicious wines which just happen to be beneath a screwcap. More currently, boxed wines are the target of much snobbery. Some of it has been partially justified as mostly cheap wines were initially placed into boxes. But that is changing, as I recently pointed out. Wine snobs though won't experience the excellent wines that are starting to be placed into boxes, as their preconceptions will stop them from even trying these wines. They think wine must be in a bottle to be good, and that is not the case. Wine snobbery affects so many other areas too. Some wrongly assume that good wine only comes from a handful of U.S. States, such as California, Washington, Oregon and New York. Yet you can find excellent wine in plenty of other states, from New Mexico to Virginia. Some people refuse to drink wines made from certain grapes, wrongly assuming that all wines made from that grape taste the same. Yet that is definitely not the case either. Are you sometimes a wine snob? If so, break free from your wine snobbery. Allow yourself to be open, to be willing to have your preconceptions challenged. If you dislike a certain type of wine, keep tasting different examples of that wine as you never know when you might find one you enjoy. Don't assume a wine is cheap just because it has been packaged differently. If something is new to you, don't automatically assume the worst. Just give it a try. If you have overcome some preconception, if you have stopped being a wine snob, please tell me about it. Sometimes you just need to drink one of your high-end wines for absolutely no reason other than you feel like it. Why save these top wines for special occasions, when you might not even drink them then? That was part of the impetus for Open That Bottle Night (OTBN). So Friday night, I made it my own summer edition of OTBN. I decided on the 2003 Sean Thackrey Andromeda ($80), which is made by one of my favorite California producers, Sean Thackrey. You can read much more about him in one of my prior posts about this "maverick wine-maker." Opening one of his wines is always a great pleasure. The Andromeda is a Pinot Noir, the grapes coming from the Devil's Gulch Vineyards, a very well known vineyard in Marin County. It is located on a steep, hillside adjacent to the Point Reyes Peninsula. They supply grapes to a number of wineries, including Dutton Goldfield, Schramsberg Wines, and Thomas Fogerty Winery. Back in 2005, there was a major fire at a warehouse in Vallejo where many wineries, including Thackrey, stored their wine. Many of them lost a significant number of cases and it was said that Thackrey lost much of his 2003 vintage. As he makes only a small production of his wine anyways, then there might not have been much of this 2003 Andromeda available. As expected, this was not your typical Pinot Noir. It had a deep red color, almost reminding me of a Cabernet. On the nose, there were vibrant aromas of black cherry, raspberry, vanilla and spice. It was a more full-bodied wine, filling your mouth with rich flavors of blueberry, black cherry, raspberry, spice and hints of eucalyptus. Though it had an alcohol content of 15.1%, it did not seem overly alcoholic or hot. It was well balanced, with a lengthy and satisfying finish. It did remind me more of hearty Rhone wine, without any earthiness. I savored every mouthful of this wine, very glad that I had chosen to open it. Why don't you open a special bottle of wine, just because? The Boston Park Plaza Hotel & Towers is proud to announce the seventh installment of Tea 101, hosted by one of only a handful of Tea Sommeliers in the world, Cynthia Gold. This month’s complimentary Tea 101 class will feature Teas from the Nilgiri Blue Mountains of Southern India. Tea 101 is a complimentary, seasonal class on everything there is to know about tea! Guests can enjoy a discussion and tasting on this month’s featured topic; including samples and recipes for home use. Each class hosted by Gold is dedicated to showcasing different tea elements, such as: proper tea preparation, tea etiquette, tea cocktail preparation, food and tea pairings, and begins with a quick review of how to correctly steep tea. Everyone who attends Tea 101 will receive a sample of the Park Plaza’s featured seasonal tea and 25% off of their future tea experience. Tea 101 is held in Swan’s Café, located in The Grand Lobby of the hotel directly before Afternoon Tea. Reservations can be made by calling 617-654-1906. Food & Wine magazine and American Public Television (APT) will sponsor the 4th annual Newport Mansions Wine & Food Festival, taking place September 25-27, 2009. The Festival is set in a picturesque settings—the historic mansions of the legendary Vanderbilt family, The Breakers and Marble House—in the seaside resort of Newport, Rhode Island. Food & Wine has become the presenting sponsor of the Festival, and two of APT's most popular celebrity chefs, Jacques Pépin and Joanne Weir, will be featured through the weekend. Also appearing in the Celebrity Chef Cooking Tent over the weekend will be Chef David Burke of David Burke Prime at Foxwoods, as well as other culinary experts. The Newport Mansions Wine & Food Festival is hosted by and benefits the historic preservation efforts of The Preservation Society of Newport County. Internationally-renowned chef, teacher and cookbook author Jacques Pépin, host of APT's Jacques Pépin: More Fast Food My Way, will be honored for his lifetime of culinary achievements at the Festival's Friday night gala event, A Vintage Evening at The Breakers. The gala will feature food samplings, tastings of specialty wines, music, and a live auction of collectible wines and luxury goods, with auction services provided by Christie's. The Saturday and Sunday Grand Tastings will feature more than 100 of the world's finest wineries pouring 400-plus wines for tasting. Nearly two dozen restaurants and caterers will provide food samples, and high-end lifestyle exhibitors will also be on hand to display their latest products and services. Both days will also include a silent auction, featuring wines, hotel stays, restaurant gift certificates, sports memorabilia and other items. Sunday will also feature the popular Jazz Brunch on the terrace of Marble House, with a menu designed by Annie Copps of Yankee Magazine. In addition to Pépin, Weir and Burke, the Celebrity Chef Cooking Tent will also feature free demonstrations by Annie Copps of Yankee, Roseann Tully of Intermezzo, and noted chefs from some of the best restaurants in Newport and Providence: Walter Potenza of Walter's Ristorante d'Italia, Kyle Ketchum of The Spiced Pear, Kevin Thiele of One Bellevue, and chocolatier Andrew Shotts of Garrison Confections. Wine expert Tyler Colman, known as "Dr. Vino," will also do a special wine presentation. Tickets and more detailed information about the Festival weekend events are available online at http://www.newportmansions.org/. Special pricing is available on tickets purchased before September 14, 2009. I will be attending this event so hope I see some of my readers there too. There appears to be some excellent wineries that will be presenting at the Grand Tasting, and there should even be some Sake as Ty Ku International will be there. Plus, I am hoping to see Tyler Colman's wine presentation. I am also intrigued by some of the auction items, so maybe I will win something cool too. "If we have it…we will make it has always been the Burtons Grill Mantra,” said Kevin Harron, CEO of Burtons Grill, an upscale casual restaurant with locations throughout New England and Virginia. “When we dreamed up our restaurant concept years ago my partners and I believed that flexibility was the single most important aspect for success. In an overbuilt and intensely competitive industry you need to do everything possible to accommodate your customers and that includes making them what they want even if it is not on the menu,” continued Harron. Each of Burtons Grill’s five-locations boasts regional concepts and fare, encourages customers to modify preparation, substitute ingredients and even encourages an “Off Menu” approach to serving the customer using ingredients in-house. “I guess the customer gets to be the Chef in a way if they want,” said Culinary Director Denise Baron. “If a customer comes to one of the restaurants and they see we have ingredients and they want to play chef and have me to create something off menu for them, I see it as a challenge, and am more than happy to do it. Yes, I love cooking, and so does my entire staff. But more than cooking itself, I like to cook for people. Sometimes I feel as Chefs we get so caught up in pleasing our peers and trying to garner attention for our art; that we forget the most basic premise of what we do which is to feed people,” said Baron. Customers can visit Burtons Grill in: Boston, MA, Andover, MA, Hingham, MA, South Windsor, CT or Virginia Beach, VA and “create their own dinners” or order off their extensive Standard, Gluten Free or Vegetarian menus. I really enjoy this concept, and have seen it work well at a couple other restaurants. The customer can always find something they want to eat, and have it prepared exactly as they desire. Is that not the essence of customer service? My new column of "A Passionate Foodie" can be found in the August 26 issue of the Stoneham Sun newspaper. This is a weekly column that concentrates on reviews of local restaurants though it also sometimes touches on other food and wine topics. The new column has been published today and will be available online soon. The new article is a review of the Wakefield Farmer's Market, with details about a number of the vendors. You can find everything from fresh fish to artisan cheese, from Swiss pastries to fresh produce. Why not stop by the Market some Saturday morning? This past weekend, I trekked to Vermont to check out the Vermont Cheesemakers Festival. It was held at Shelburne Farms, in a large barn, and attendance was limited to 1000 people. I'll be posting much more about this event in the near future, as I found many good things there, but one item irritated me, calling to mind an issue I have had with similar events before. Around two hours after the event began, it became extremely crowded, making it difficult to move around and access the various tables. Plus, the vendors were much busier and had far less time to talk about their products. Plus, as it was hot in the barn, it became even hotter and more uncomfortable with all of the extra people present. What had been a fun event at the start became much more of a chore. I have been to numerous large events like this, both food and wine ones, and most often they get too crowded after a time. And when they become overcrowded, they stop being pleasant events. The Boston Wine Expo is a perfect example, hordes of people struggling to get a wine sample while producers and vendors can give only soundbites about their wines. Is this really necessary? Do these events have to sell so many tickets? Obviously money plays a large factor as the more attendees, the more money that is generated. So those running the events have less incentive to limit the number of attendees. Now, this might be the most visible impact but there may be long term factors which are not being considered. If attendees were better able to talk with the vendors, to learn more about the products, would they be more likely to become customers? Or is it sufficient to just allow people to taste wine and cheese, and then hope they like what they taste and become a customer? To me, I think the more personal touch would be better for the vendors, creating stronger a stronger customer base. I know I would prefer to speak with the vendors, to have them answer my questions. There are several possible solutions for event holders to limit the number of attendees. They could just limit the number of attendees. Or they could hold an event over two days, limiting the number of attendees each day. Another choice would be to use a much larger venue that could better handle a large number of people. What we attendees need to do is to contact the event hosts and tell them when we feel an event was too crowded. Let them know our displeasure. If enough people contact them about this problem, maybe they will do something about it. Yes, it was the intriguing square, blue bottle that first caught my eye at a wine store in Portland. I picked up the bottle and then read the label, finding it was a Saké which I had not tasted before. Plus, I saw that it was a Yamahai, making it a rarer type of Saké. Thus I bought a couple bottles to check it out. The Bunraku "Nihonjin No Wasuremono" ("Forgotten Japanese Spirit") Yamahai Junmai ($15.99/300ml) is made in the Saitama Prefecture. This Saké has an alcohol content of 15%-15% and a Saké Meter Value of +5, making it a dry Saké. It is a Yamahai, which means that the brewer uses native yeasts, those just floating in the air of the brewery. It is a very risky process so very few brewers make this style any more. Yet when they succeed, a Yamahai can be rich and acidic, much more like a red wine. They often too have a very earthy taste. This Saké certainly had earthiness, both in its smell and taste. Its flavor also had some smokiness, steamed rice flavor and a bit of melon. All of the flavors blended together well, creating a unique taste which I found appealing. It had a fairly lengthy finish and I think this would be a great Saké to pair with a heartier dish, maybe a stew or game meat. This may not appeal to a newcomer to Saké because of its earthier taste but a Saké lover will likely enjoy this very much. I recently opened another Saké from my dwindling supply of those I purchased from Sakaya in New York City. My streak continues, as this was another very enjoyable Saké and one I would recommend it. This is also the second Saké from this producer that I have tasted. The first was the Kamoshibito Kuheiji Daiginjo, and you can check out that post for more information about it and the brewery. The Kamoshibito Kuheiji Junmai Ginjo ($38.99-720 ml) is made in the Chubu region of Aichi Prefecture. This Saké is made with Yamada Nishiki rice which has been polished to 55%. It has an alcohol content of 16-17% and a Saké Meter Value of +0, meaning it tends to be slightly sweeter than dry. Though I note that another Saké store stated this had a Saké Meter Value of +2, making it neutral. The nose of Saké was compelling, offering cherry and red fruit flavor scents which is not what you might expect from a Saké, which is made from rice. It had a medium-body, with rich, bright berry flavors reminding me more of a light red wine or rose. It was smooth and pleasant, a very different Saké from many others with its red fruit taste, reflective of its bright red label. This might be a very good choice to introduce a newcomer to Saké, especially as it seems far more wine-like in its taste. It might also be a good introduction to the myriad, diverse flavors that can be found in Saké. Now I need to make a trek to NYC to replenish my Saké stash! How much does good vodka cost? Usually, if I want a premium vodka that I can drink just over ice, I pay close to $30, if not higher. That would include my favorities such as Chopin and Stoli Elit. For a more ordinary, but good, vodka that I can use in cocktails, I often pay at least $15, if not closer to $20. That would include Stolichnaya and Absolut. I generally won't drink any vodka that costs under $15. I dislike their taste, even in cocktails. Plus, they tend to more often cause headaches the next morning. Yet I must change my thinking as I have found an extreme value vodka which is going to cause me to change my vodka shopping habits. Sobieski Vodka is a Polish vodka (80 proof) made from golden Dankowski Rye and crystalline water from Oligocene springs. It is continuously distilled with the objective of producing a pure and smooth vodka. Belvedere Vodka, a good premium vodka, is also Polish and made from Rye. Sobieski Vodka derives its name from King Jan III Sobieski (1629 - 1696), regarded as the last great King of Poland. He is "...revered today in part because his fearless, indomitable spirit represents what has always been such an inseparable part of the Polish national character. A man of intellect, he had an uncommon knowledge of foreign culture that would impress even a geek with a broadband connection. A true Renaissance man, Sobieski's passion and warmth were revealed in the hundreds of letters exchanged with his wife, Marysienka. His lack of royal blood didn't prevent him from earning the admiration and respect of both his countrymen and enemies - his people elected him King, and his opponents referred to him as "The Lion of Poland." And at a time when it seemed certain that the invading Ottoman Empire would conquer all of Europe, he gathered and led an army to defeat a force nearly double in size at the Battle of Vienna. This earned him the moniker, "The Savior of Western Civilization." I tasted this vodka both straight and in a few cocktails. Straight, I found it smooth and clean, without any bite or unpleasant aftertaste. It had a very neutral flavor and it is something I could drink just over ice. In the cocktails, it excelled and my family and friends who drank some cocktails with me all thought this was an excellent vodka. When the bottle ran out, and I used a different vodka (which cost around $20), they all could tell the difference and fervently wished there was more of the Sobieski. What is the most surprising and impressive aspect of Sobieski Vodka is its cost. A 750ml bottle sells for around $11! What an extreme value. This tastes better than vodkas that cost twice the price. Instead of paying $20 or so for a bottle of Stolichnaya or Absolut to make cocktails, I'll buy two bottles of the Sobieski. Though I could drink the Sobieski just on ice, I still do prefer Chopin and Stoli Elit as they seem to have some flavor that was lacking in the Sobieski when you drink it straight. But for cocktails, the Sobieski is truly a king, especially at its very cheap price. It gets my highest recommendation. We exist in a cocktail resurgence, with an abundance of professional bartenders and mixologists creating a diverse variety of cocktails. You can find martini bars that offer dozens of different types. People at home are experimenting with creating cocktails as well. New liquers are sprouting up all the time, offering new twists on classic drinks. What are some of your favorite, unusual cocktails? 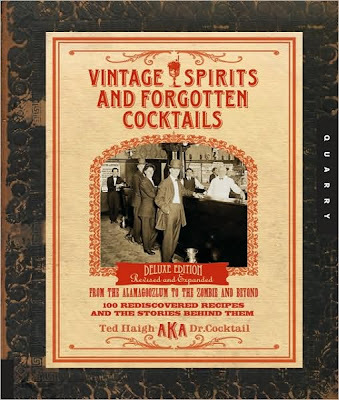 If you would like to discover 100 unusual and rare cocktails, then you should read Vintage Spirits and Forgotten Cocktails: From the Alamagoozlum to the Zombie 100 Rediscovered Recipes and the Stories Behind Them by Ted Haigh (Quarry Books, July 2009, $19.99). This hardcover book, in a spiral binding with 352 pages, is a revised edition of the original which was published in 2004. It is a fun and informative look at largely forgotten cocktails. The book begins with a short section, "Cocktail Archaeology," which is a brief history of cocktails. American cocktails are over 200 years old and the first published bartender's guide was published in 1862. So there is a lengthy history to draw from and Haigh does a great job of finding fascinating items and recipes to interest his readers. After the history, Haigh presents 100 recipes with their origin stories as well as trivia about them. These cocktails are rarely made today, and range from the 19th century through just after WWII. Fortunately, the cocktails do not include any ingredients that are no longer available. There are some uncommon ingredients, but Haigh later provides an Appendix of resources to locate those less common items. Interspersed through the recipes are several brief articles on items such as orange bitters, absinthe, and applejack. These cocktails have some fun names, such as The Monkey Gland, The Communist, Hanky Panky, Income Tax Cocktail, and the Mother-in-Law Cocktail. I have not previously heard of most of the cocktails. Though a few cocktails may seem familiar, such as the Georgia Mint Julep, they are not what you think. In the case of the Julep, Haigh traces its history and how it has differed over time. I noticed that many of the cocktail recipes in this book call for gin, indicative of its popularity for quite some time. In addition to the recipes, Haigh provides some cocktail advice, such as that you can change ingredient proportions to suit your own tastes. The books contains plenty of cool, vintage pictures, enhancing the historical feel of the book. It is also well written, easy to read and filled with plenty of interesting cocktails facts. This is not a mere history book though, continuing much practical advice and all of the recipes can be made. For anyone seeking inspiration to create a new cocktail to surprise their friends, this book is a must read. The book also contains several appendices, including a list of some common cocktail recipes, a resource guide for uncommon ingredients and a list of the "25 most influential online cocktail pioneers" with URLs and brief bios. Check out this very fun book, and try a cocktail from the past! It is almost a given that many restaurants charge far too much for wine. You can usually expect to pay two to three times the usual retail price for a bottle of wine. So you might find a $20 wine at your local wine store, but have to pay $40-$60 at a restaurant to get that same bottle. Sure, there are some restaurants which offer good wine values, but they are the exception. Rather than pay the exorbitant prices, I would love to see more BYOB restaurants, places where you can bring your own bottles of wine, paying a small corkage fee, if at all. As alcohol can be one of the most expensive items on your bill, being able to bring your own wine makes dining out far more affordable. Plus, you can bring wine you know you like, rather than have to find something on a wine list which might be largely unfamiliar to you. The problem is that there seem to be so few BYOB restaurants around. And I don't think many of those BYOB restaurants do a sufficient job of telling people they can bring their own wine. Especially in these tough economic times, we need value restaurants and BYOBs offer much value. Locally, we have a few BYOB restaurants. For example, there is Kyotoya in Stoneham, a Japanese place that does not charge a corkage fee. There is Porchai in Wakefield, a Thai place that also does not charge a corkage fee. La Stanza Diva in Woburn serves Italian cuisine and wild game and charges a $3 corkage fee. Do you have any BYOB restaurants in your neighborhood? 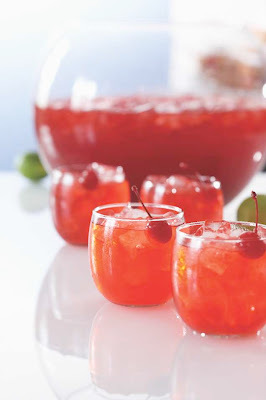 Raise a cocktail, made with rum, to celebrate today's holiday, National Rum Day! I have been unable to determine the origin of this holiday. It could merely be a PR thing, but it seems to have taken on a life of its own. Though there is certainly nothing wrong with celebrating rum. My preference is for fine, aged dark rums which I'll drink on ice. I do enjoy rum as well in some cocktails, especially Mai Tais, Scorpion Bowls and others of that ilk. Though I have never been a fan of rum & coke. For some reason, the taste just does not appeal to me. The first rum was probably made on Barbados though it was not called rum at the outstart. Before acquiring that name, it was often referred to as "Kill-Devil." Now doesn't that sound enticing? A mellower rum did not arrive until around 1862. In 1829, Don Facundo Bacardi, Spanish wine merchant, moved to Cuba and he eventually created "light rum." This smoother rum worked very well in cocktails. One of the most unusual facts I have read about rum is that in 19th century England, men would occasionally auction off their wives in exchange for rum. Have you tried Mount Gay Rum? Hailing from Barbados, they still use both a pot still and a column still. Mount Gay Rum Punch is supposed to be the traditional welcome cocktail of Barbados. Mix the lime juice, water and sugar syrup. Combine the mixture with grenadine syrup and Mount Gay Rum. Add the Angostura Bitters and stir well. Sprinkle with grated nutmeg and garnish with a cherry. Serves eight. Stay tuned soon for some reviews of Mount Gay Rum. Japanese Saké breweries may not be selling as much in Japan, but exports continue to increase. The Daily Yomiuri Online recently published an article, "Sake tastes success abroad / Manufacturers tap export markets to alleviate domestic woes" (8/10/09) which details the booming export market. Saké exports have grown from about 7,000 kiloliters in 2001 to 12,151 kiloliters in 2008. Exports to the U.S. have doubled since 2001 to 3,843 kiloliters. Exports to Asia are also increasing. For example, in 2008, exports to South Korea were 1,529 kiloliters and exports to China reached 482 kiloliters. Breweries are hopeful that the ever increasing exports may also lead to a revival in domestic consumption. No matter how impressive a restaurant looks, it is the food that ultimately matters the most. In that regard, David Burke Prime Steakhouse also delivers. It is a worthy steakhouse destination which is sure to please the most discerning of carnivores. Before checking the food menu, you might want to start with a drink. You could choose a martini or other cocktail ($12-$16) or select one of their 25 wines by the glass ($8-$15). The list of wines by the bottle is diverse, including wines of New York from very good wineries such as Channing Daughters and Shinn Estates. Prices generally start in the $40s with many options available for under $100. Markup seems to be about twice or lower of the usual retail. The list was not as pricey as expected, making it one of the more reasonable steakhouse lists I have seen. I decided on the 2005 Domaine de Villeneuve "Vieilles Vignes" Chateauneuf-du-Pape ($90), a biodynamic wine that is a blend of 40-100 year old vines of Grenache (70%), Mourvèdre (16%), Syrah (8%), Cinsault (8%) and Clairette (2%). This was a top notch wine, with fine berry flavors, restrained tannins, lots of spice and a touch of earthiness. Plenty of complexity and a lengthy, satisfying finish. I think it was a complimentary pairing for my steak, as well as with the appetizers, especially as it was not an overpowering wine. It had some strength but also finesse. As for the food menu, there are plenty of traditional steakhouse choices as well as some more innovative dishes. Appetizers ($10-$18) present intriguing choices, such as Pretzel Crusted Crab Cake and Kung Pao Lobster. Soups & Salads ($10-$14) range from Connecticut Corn & Clam Chowder to Warm Asparagus & Goat Cheese Salad. They have a full raw bar including oysters, lobster, clams, crab and shrimp. For Entrees, there are numerous steaks, from filets to ribeyes ($32-$58), of various days of dry aging. If you don't want steak, there are other options including lamb, veal, chicken, tuna, lobster and more. Finally, there is a selection of about ten Sides ($7) to accompany your entree. Overall, pricing seems comparable to other high-end steakhouses. Your meal begins with a fresh popover, which certainly started me off in a good mood. I know that some consider popovers old-fashioned, but I still love them. That crisp, flaky exterior concealing a delicious and warm, eggy interior. Though the popover was excellent, my only minor criticism was that the balls of butter were too cold and hard for my tastes, which was the subject of one of my previous rants. But that is more just a personal preference. We then received an Amuse Bouche, a Beet Mousse Ravioli. I must confess that I generally dislike beets so I was pleasantly surprised when I very much enjoyed this ravioli. The creamy mousse had a touch of sweetness, and the ravioli was cooked just right. I probably could have eaten an entire place of these raviolis and been very happy. Our first appetizer was the Surf & Turf Dumplings ($14). The above top picture shows the Surf dumplings, filled with lobster, lemon, chive and butter. It seemed more like a lobster mousse inside the dumpling, with a rich lobster flavor. The Turf dumplings, the above lower picture, were filled with barbecued & cheddar short ribs. These were superb, filled with plenty of tender and flavorful meat, and my favorite of the two. What carnivore can resist bacon? The Double-Cut Maple Pepper Bacon Strips ($10) present four, long, thick slices of bacon. Though thicker than usual bacon, these were still extremely tender and almost melted in your mouth. The taste was exceptional, such a enticing melange of sweet, spice, and smoke. None of the flavors overpowered any other, instead they existed in a culinary harmony. I would highly recommend this dish to any bacon lover. The Classic Caesar Salad ($12) is prepared tableside, which you can see in the above top photo. The server prepares the dressing, asking you whether there are any ingredients (such as anchovy paste, mustard, or chives) which you may not want in your dressing. The fresh romaine lettuce, primarily hearts, is tossed with some hard croutons. We had the added Crab Cake Croutons ($5) with our salad. I very much enjoyed the salad, and the dressing really enhanced the romaine. The Crab Cake croutons, which were actually gold-ball size, were a fantastic addition, and highly recommended. They were served warm and filled with plenty of sweet crab. This photo does not do justice to the size of this dish! The Veal Chop "Parm" ($34) was a veal chop which had been hammered down flat and covered with tomato fondue and Fontina cheese. It looked huge on the plate and there was certainly lots of meat. The veal was extremely tender, one of the best veals I have tasted in some time. The flavorful fondue and plentiful, melted Fontina enhanced the veal. You might be wary finding an Italian dish at a steakhouse, but this is well worth ordering. As someone like me who really loves veal, this was a very impressive entree. I selected the 55 day Ribeye ($58), cooked rare, with a side of Roast Garlic Marsala sauce. This is the oldest dry aged steak available on their menu. It was a good-sized piece of beef, very tender, and incredibly flavorful. It had a very intense beefy taste that made me savor each and every bite. I did not think it was gamey at all, though I suspect some people might disagree, especially if they are not used to dry aged beef. To me though, this was a heavenly steak. Though I enjoyed the sauce, I ended up using very little of it because the steak itself had so much rich taste that the sauce was unnecessary. This ribeye fulfilled all its promise, showing the efficacy and benefits of dry aging. We had two Sides, the first being the Roasted Corn with chipotle and cotija cheese. I actually was expecting that the corn would be on the cob, similar to what is served at Toro. Instead, you just need a fork to savor the mixture, which I found quite delicious, especially with the plentiful cheese. Cotija is an interesting Mexican cheese which is starting to show up on a number of restaurant menus. The second Side, the Shrimp Home Fries were fine but not impressive. The fried potatoes were nice and crispy on the outside and there were a number of small shrimp in the dish. But it just seemed ordinary and I had been expecting much more. Despite all of the food we had already eaten, I still had a little room left for dessert. Especially when I saw the Drunken Peach Donuts ($9) on the menu. These were everything I hoped they would be, light, tasty and with tiny pieces of peach. I am a big donut fan and these certainly satisfied. The donuts came with three different sauces. You insert the nozzle of one of the plastic bottles into the donut and filled it with the flavor of your choice, my favorite being the vanilla. The restaurant sent out two more desserts for us to try, the first being five Mini Ice Cream Cones, a fun treat which kids of all ages would enjoy. There were five different ice cream flavors and all were creamy and good. A new addition to their dessert menu is the Lemon Panna Cotta with a thin layer of mint jelly atop it, and fresh berries. Visually, a very appealing dish, it was also quite tasty, with a very creamy panna cotta blending well with the mint and berry flavors. Service was excellent. I did watch the servers at the other tables and everyone else seemed to be getting very good service too. I did not notice any service problems. The servers work as a team and work well together. They were pleasant, accomodating and attentive. Overall, my experience here was impressive. Delicious and plentiful food, an excellent wine, top notch service, a pleasant ambiance. I would certainly place this restaurant with my top steakhouses and I highly recommend you dine here. "Actually, oysters were eaten by prehistoric man thousands of years ago. As the centuries passed, oyster beds were depleted as a result of disease, pollution and sedimentation. Oysters’ subsequent scarcity led to their status as a luxury/delicacy. About a hundred years ago, however, man learned how to farm and cultivate oysters, and the happy result is a wide variety of healthy specimens growing year-round from Wellfleet, Massachusetts to Wellington, New Zealand." Like all the fish, bivalves and shellfish at Turner’s Seafood Grill & Market, its oysters are carefully sourced, kept chilled during transit, inspected multiple times from dock to kitchen, and totally delicious. Dieters note: a dozen raw oysters contains just 110 calories, no fat, and is rich in iron, zinc, calcium and Vitamin A. 1) In a 4-quart sauce pan, cook bacon over medium heat until brown and cooked through. Remove bacon and set aside on paper towels to drain, leaving the fat in the pan. 2) Sauté the shallots and garlic in the fat until tender. Next, add the oysters and their liquor and cook for 2 minutes. Add the butter and stir until it is melted. 3) Sprinkle in the flour and gently stir until well blended. Cook this mixture for about one minute. Finally, add the remaining ingredients including the milk, light cream and the bacon. 4) Bring stew to a boil, then reduce to a simmer and cook until desired thickness. Season with S & P to taste. The Beehive is well known for its diverse, live musical performances. In this same tradition, The Beehive is starting their new “Elite Series” beginning August 19 and continuing through December 2. Guests can look forward to musical collaborations from all over the world including: Osmany Paredes (Cuba), Fernandito Ferrer (Puerto Rico), Ismail Lumanvoski (Macedonia), Panagiotis Andreou (Greece) and Tamer Pinarbasi (Turkey) to name a few. The Beehive’s Elite Series is free to the public and can be coupled with a night of food and cocktails by making a dinner reservation. Call 617-423-0069 for more information. As a devout carnivore, steakhouses appeal to my innermost desires. These temples to meat satisfy my most primal urges. I know I am not alone. I know there are plenty of other carnivores out there who yearn for a hearty steak. Yet not all steakhouses are equal. They differ from each other in so many ways. So it is always with a little trepidation that I visit a new steakhouse. How will their beef taste? Will it be cooked properly? Will it meet my standards? How will it compare to my favorite steakhouses? I recently visited David Burke Prime Steakhouse located at the Foxwoods Casino in Connecticut. Chef David Burke opened this steakhouse back in July 2008 and he owns other restaurants in New York, New Jersey, Las Vegas, and Chicago. Burke trained at the Culinary Institute of America and also spent time working for various chefs in France. He is very well-known and respected. I was told he routinely stops by the Connecticut location to ensure matters are running properly and according to his standards. That certainly is encouraging. Initially, I checked out the restaurant website for more information. It noted that the steakhouse is fairly large, about 13,000-square-feet, and able to seat around 300 people. This includes a 28-seat bar and a 1,700-square-foot private banquet area, accommodating up to 100 people. There is also a 35-feet tall wine tower, extending up three stories. In addition, the restaurant has a specially designed aging room for its beef. All of that sounded interesting to me. I was even further intrigued when I checked out their dinner menu online. The appetizers, salads, sides and meat selections presented some creative and delicious-sounding choices. There was much that appealed to me so I was excited about checking out the restaurant. While walking through the Foxwoods Casino, approaching the restaurant, I first noticed their lofty wine tower. Above, you can see me standing outside the top third of the wine tower. Inside the tower, you can see a yellowish decoration that resembles flames which is at the top of the tower. I was later fortunate enough to get a look inside of the tower as well. Actually only about one third of the wine tower is used for wine storage, the rest being merely decorative. There is a ladder inside the tower, and the top of the ladder basically denotes the end of their wine storage area. They have approximately 400 active bottles at any one time. They store some other wines elsewhere, including keeping their Champagnes chilled. Above, you can see their 28-seat bar which is located near the front of the restaurant. Note the "cowhide" on the backs of the stools. This "cowhide" is also used to cover other chairs throughout the restaurant. Overall, I found the decor somewhat eclectic, different areas of the restaurant decorated differently. Yet somehow it all seemed to work well together. It seemed elegant but homey, stylish and fun. The decor impressed me and it would alternatively cater to a business dinner, an intimate date, an after-work party and much more. You can even sit at the action kitchen, where cooks prepare appetizers and raw bar items. Maybe the most intriguing aspect of the restaurant is their dry aging room and I got to visit this area. On the left wall of this rectangular meat locker, there are blocks of imported pink Himalayan rock salt. This salt is harvested from ancient sea salt deposits in the Himalayan Mountains. One of the alleged effects of this salt is to help prevent a rancid odor from the beef. I don't know if the salt was responsible or not, but the aging room had an enticing beefy smell. The aroma did not offend me in the least. What carnivore could not be ecstatic to be surrounded by hundreds, if not thousands, of pounds of beef. Each slab of meat is tagged with its date and weight, though they lose up to 20% of their weight from shrinkage and what will need to be trimmed. The meat typically spends 28-75 days in this aging room. Why dry age the beef? There are two basic processes that occur during dry aging which enhance the beef. First, moisture is evaporated from the muscle which creates a greater concentration of flavor and taste. Second, the beef’s natural enzymes break down the connective tissue in the muscle, making it more tender. The longer the beef is aged, the richer and stronger the flavor of the beef. That richer flavor though does not appeal to everyone. Some feel that the meat acquires a gamey taste which they dislike. It might be more of an acquired taste, where you need to get acclimated to the flavor over time. I was told that many repeat customers have done just that, starting with the youngest aged beef and over repeat visits, slowly trying older beef. Currently on their menu, their oldest aged steak is a 55-day ribeye. Though the restaurant website states that all of their meat comes from Creekstone Farms in Kentucky, that is not accurate. Creekstone does not always have all of the meat available that the restaurant needs, so they must sometimes purchase their beef elsewhere, such as from Buckhead Beef. The restaurant's meat buyer is actually Chef Burke's brother. He has a certain set of strict specifications, such as the amount of marbling, that all meat he purchases must meet. Tomorrow, I will review the dinner I ate though I will tell you it was an excellent meal. Don't you love fresh peaches? I certainly do and you can often find some excellent peach desserts at local restaurants. In celebration of the peach harvest season, Culinary Director of Burtons Grill, Denise Baron will be presenting her special peach dessert at Smolak Farms Peach Festival on August, 22 2009. Smolak Farms offers their fresh seasonal fruit featuring 40 different varieties such as: yellow peaches, white peaches and nectarines. Smolak Farms is located at 315 South Bradford Street, North Andover. Chef Baron will be sharing her special peach dessert recipe with attendees during a special demonstration at the farm from 12:30-1:30pm. Chef Baron will use Smolak Farms peaches to prepare her stewed peaches, which are delicately placed over coconut gelato and paired with shortbread cookies. If you can't make this event, why not try Chef Baron’s recipe at home. 1. Drop peaches in boiling water for 30 seconds and drop them into an ice bath immediately after. Remove the skins. 2. Cut peaches in half and remove the pit. 3. Place the cut side up in an oven proof pan. 4. Mix: butter, brown sugar, salt, pepper and cinnamon. Evenly distribute butter in center of peaches (pit area). 5. Put a 1/4 cup of water in bottom of the pan and place pan in oven at 350° for 20-25 minutes. Remove, serve warm or let cool to room temperature your choice! 6. To serve: place 2 peach halves in a shallow bowl with a scoop of coconut gelato and 2 shortbread cookies per serving. Note: Peaches can be made ahead of time and reheated in a microwave. I am always excited to try a new wine, especially if it is made from a grape that is new to me, or it is made from an unusual blend. I actively seek out unusual and unique wines and recently had an opportunity to explore more such wines. As well as savor an excellent Italian dinner. Erbaluce, the subject of a previous rave, recently held a five-course wine dinner ($70 per person), emphasizing unusual Italian wines. The restaurant was packed, many eager food and wine lovers seeking an exciting dinner. Chef Draghi certainly did not disappoint. Both the food and wine were excellent, fine pairings that pleased and satisfied my palate. Plus, Chef Draghi was a personable host, talking about the food and wine, adding some interesting anecdotes. Our first course was Scallop terrine with lovage and tarragon maionese, a light and flavorful terrine with large pieces of tender scallop. The wine paired with this dish was the N.V. Lini Lambrusco Bianco. Have you ever had a white lambrusco? It is made by ensuring there is no contact with the skins during fermentation. This sparkling wine is crisp, clean and refreshing with interesting fruit flavors of apple and peach. An excellent summer wine, as well as a different choice when you want a glass of sparkling wine. The second courses was White cornmeal polenta with roasted sweet corn, fresh marjoram and robiola cheese. This was an excellent dish, with a delicious blend of flavors and a rich corn taste. I am not sure I have ever had robiola cheese before but I definitely will again. Robiola cheese is a soft-ripened cheese, a blend of milks from cow, sheep and goat. It added some tanginess to the dish. The polenta was paired with the 2008 Pietra Nera La Novella Chiavennasca Bianco, a white nebbiolo. The wine is made from 80% Nebbiolo and 20% old vine Chardonnay. On the nose, I smelled bananas though that did not come out on my palate. Instead, it had more intriguing citrus flavors with mineral notes and a subtle exoticism. This was a very compelling wine with a long and satisfying finish. If you can find this wine, you definitely should buy it. Up next, was Roasted monkfish with braised sunflowers, roasted pepper jus, and anise hysop. The large piece of monkfish was still attached to the bone and was topped with its silky liver. A tasty piece of fish with interesting flavors from the licorice-like hysop to the sunflower. The wine was the 2007 Vigne del Parroco Ruché di Castagnole Monferrato, made from the rare Ruché grape. Ruché actually has its own small DOC, Ruché di Castagnole Monferrato, but you still may not have tasted this grape. This wine is 100% Ruché and sees no oak aging. It was extremely aromatic, herbal and violet notes. Just beautiful to sit, smell and savor the aroma. The taste was enticing, lightly spicy with red fruit flavors, herbal notes and very restrained tannins. A light, smooth wine that paired well with the seafood. The fourth course of the evening was Organic Berkshire Pork Loin over herb branches with a cherry mostarda, local herb honey and bronze fennel flowers. A moist, tender and flavorful meat with fresh cherries and intriguing herbal flavors. Chef Draghi grows many of his own herbs and his dishes benefit from his inventive use of their herbs and flowers. The pork was paired with the 2004 Bressan Schioppetino, from Friula. The grape Schioppetino is also known as Ribolla Nera. This reminded me almost of a wild wine, bringing to mind freshly picked berries with a touch of the forest. It is almost hard to describe its flavor: blackberries and raspberries with elements of earthiness and wood. An interesting wine which I enjoyed and would like to explore further. Dessert was a Local White Peach baked with almond cream, mascarpone and amaretto crumbs. What a delicious concoction! The fresh, juicy peach was bursting with flavor and the creamy topping added tasty almond flavors. There was just enough sweetness to this dish. Plus, it was not heavy, making for a nice ending to the meal. Rather than the usual dessert wines, Chef Draghi selection to pair the 2004 Aldo Rainoldi Vintage Brut Rose, which is made from Nebbiolo, the chef's favorite food wine grape. A dry and fruity sparkling wine with plenty of acidity. Everyone that I spoke to really enjoyed this dinner and the wines. It was exciting to try the unusual wines, especially when they all were so good. And I continue to be very impressed with the culinary talents of Chef Draghi. He is certainly one of the most creative chefs out there, and you should check out Erbaluce for some innovative Italian cuisine and a killer wine list. For example, last year, three of my Top Ten Wines Under $15 were from Portugal. These included the 2006 Conde De Vimioso, 2007 Twin Vines Vinho Verde, and 2007 Quinta Da Alorna Vinho Rosé. This year so far, a Portuguese wine stands to be my top pick for the 2009 Top Ten Wines Under $15. This incredible wine value is the 2007 Cerejeiras Regional Tinto, which only cost me $5.60! A killer wine under $6? It could only have come from Portugal. I was especially fortunate in both 2007 and 2008 to attend grand Portuguese wine tastings hosted by The Massachusetts Society for the Prevention of Cruelty to Animals (MSPCA)-Angell in partnership with ViniPortugal and the Instituto dos Vinhos do Douro e do Porto (IVDP). These extensive tastings helped me gain a better appreciation for the wines of Portugal. What has been most compelling about these wines? First, Portugal offers many value wines, including a good share of wines under $10. These are often wines with character and not one-dimensional plonk. If I had to recommend someone a wine under $10, I would tell that person to buy a Portuguese wine. Second, many of their wines are enticingly aromatic. They have such diverse, vibrant and alluring smells. They seduce the nose, tempting you to taste them. Third, their indigenous grapes possess intriguing smells and tastes, sometimes very different from what you may be used to, yet often a delight. Finally, and very importantly, most of the Portuguese wine makers and distributors I have met have evidenced a strong passion for their wines. And as I have often said, passion is the path to excellence. Their passion is contagious, convincing you to taste their wines, and ultimately to become an advocate for their wines as well. Despite all the excellent things about Portuguese wines, they still remain almost a hidden secret. Not enough people know about Portuguese wines yet that has been changing, albeit slowly. Too many people still think that Portugal only makes Port wines. They don't know about all of the excellent still wines now being made in Portugal. The future will look brightest for Portugal if they can further spread the word about their wines. They need more eager advocates, more distribution, more positive press. Consumers need to be encouraged to taste their wines, to learn what they are missing. I am doing my part in this endeavor and hope others join along. Locally, I highly recommend that wine lovers check out a major Portuguese wine tasting being held on September 24, from 5:30-7:30pm, at the Gallery 808, 808 Commonwealth Avenue, Boston. The tasting is a collaboration between the Instituto dos Vinhos do Douro e Porto (IVDP) and Boston University 's Elizabeth Bishop Wine Resource Center. You will get to taste a wide varity of Ports and still wines from the Douro region. For more information about this event, call 1-877-2-PORTUGAL (1-877-276-7884). I will definitely be there myself. Otherwise, just take a chance on a Portuguese wine. Ask your local wine retailer for recommendations. Check the wine blogs for suggestions. Go to wine tastings that feature Portuguese wines. Just try it! What may also help to spread the word about Portuguese wine is the upcoming European Wine Blogger's Conference which will be held October 30-November 1 in Lisbon, Portgual. At this event, wine bloggers from all over the world will meet, chat and network together. Plus, they will taste many different Portuguese wines and visit some wineries. The event's organizers include Catavino (my friends Ryan and Gabriella) and Wine Conversation. I was originally considering a trip to Portugal this fall, with a stop at the European Wine Blogger's Conference (EWBC), but that has been put on hold. The tough economic situation just won't allow such a trip this year, but maybe next year will be a more fortunate time. Or I might get real lucky and win a trip to the EWBC. EWBC sponsor ViniPortugal is currently holding a contest with a top prize of a free trip plus expenses to the EWBC. You can check out the EWBC post for more information about the contest. No matter what, I will remain an advocate for Portuguese wines. Please try one of their wines and tell me what you think. My new column of "A Passionate Foodie" can be found in the August 12 issue of the Stoneham Sun newspaper. This is a weekly column that concentrates on reviews of local restaurants though it also sometimes touches on other food and wine topics. The new column has been published today and will be available online soon. The new article is a restaurant review of U-Me, a new Asian restaurant in Stoneham. Try some of their delicous Japanese, Thai or Korean cuisine in their elegant setting. A perfect place for an intimate date or to bring your family. It surprises me sometimes how new local restaurants seem to hide under the radar of many local residents. I'll talk to local people about a new restaurant, that might have been open for a few months, and a significant number of those people did not even know the restaurant existed. This is especially true if the restaurant is not on the main street of the town. U-Me, a new Asian restaurant in Stoneham is located on Franklin Street, across from a public parking lot. It is not too far from Main Street but still seems a bit off the beaten path. But it is worth seeking out. U-Me primarily serves Japanese, Thai and Korean cuisine as well as sushi. The Korean owners have operated two previous restaurants in Arlington and Cambridge and U-Me seems to be truly run as a family business. When you walk into the restaurant, you will first be struck by the beauty of its decor. It is a beautiful place, with an elegant and tasteful look. It is actually fairly large, and a couple of the dining areas look out onto Franklin Street. Despite its elegance, it is not pretentious. It still has a homey feel, good enough for an intimate dinner for two or a family with several children. Rather than sit at one of the tables, you can take a seat at the marble-topped sushi bar where you can watch the cooks prepare your nigiri, sashimi and makimono. The bar is also marble-topped and there is a large-screen TV in the bar area. They have a full selection of liquor with a lengthy and diverse selection of cocktails, wine, beer and sake. Most of the cocktails, the martinis, polynesian drinks and others, cost about $7-11. There are about fifteen different wine choices, glasses at $7-9 and bottles at $22-$28. There is a Happy Hour at the bar each day from 5-8pm with $3 appetizers (9 different ones available). They also have live jazz music on Thursday nights. As a sake lover, I was pleased to see they carry six types of sake, ranging from $4-13, and a few being very tasty. Plus, they understand the best way to serve chilled sake. The small pitcher, pictured above, is chilled and has an interior pocket where ice can be placed. This keeps the sake chilled without diluting it with melting ice. The food menu is extensive, including appetizers, salads, soups, noodle dishes, fried rice, curry dishes, teriyaki, tempura, and various special entrees. Prices are comparable to similar type restaurants. Though you can easily find Thai and Japanese cuisine elsewhere locally, you probably will have more difficulty locating Korean cuisine. And it may be tougher to find all three cuisines on the same menu. They have a lengthy lunch menu, with nearly all dishes under $10. You might want to try one of their special Lunch Boxes ($9.95), which includes miso soup, salad, dumplings, rice and your choice of entree. Their sushi seems fresh, is reasonably priced and they have a diverse selection of maki rolls. Above, starting in the top left hand corner and proceeding clockwise, you have Idaho Maki (fried sweet potato), Maguro (tuna), Unagi (eel), Tamago (egg) and Sake (salmon). The fish is good-sized though the amount of rice beneath the fish is a bit smaller than usual. Of their Appetizers, my favorite choice is the Szechuan Wings ($6.95) which is pictured above. These are exceptionally good, pieces of fried chicken with a slightly sweet sauce that also has a tinge of spice. The crisp, crunchy batter is perfect, and rather addictive. It makes regular chicken wings seem so boring. It is almost impossible for me to go to U-Me and not get an order of these wings. The Pa Jun ($7.95) may be better known to you as Scallion pancakes, and they are large, light and delicious with large, fresh scallions. As for other appetizers, I also would highly recommend the Dumplings ($5.95) and Shumai ($5.95). As for entrees, I have not had a dish I did not enjoy. Their Pad Thai with Chicken ($8.95) was plentiful, fresh and very tasty. Their Masaman Curry with Beef ($11.95) is another excellent choice, the curry sauce having a nice coconut flavor to it and the beef was very tender. I am very picky about my shrimp tempura and U-Me's Shrimp Tempura ($14.95) passes my strict standards. The tempura batter is properly light and crisp, not the heavy covering lesser tempuras sometimes possess. The Crispy Chicken Basil ($12.95) is another winning dish, which comes with a sweet chili sauce. The Galbi ($17.95), which is pictured above, is a famous Korean dish, grilled marinated short ribs. The dish consists of three long, thin strips of tender beef and a couple bones with a bit more meat. There is also a salad and some veggies. The beef was flavorful and sure to please any carnivore. Service is very good and the waitstaff is very attentive. The variety and diverse selection available on their menu is compelling. Almost everyone should be able to find something they want. Plus, the delicious food should please most everyone. If nothing else, you have to go to try the Szechuan Wings.